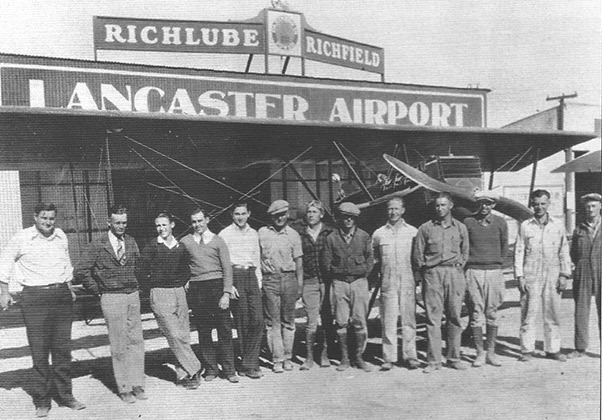 Back in 1918, the first planes to visit Lancaster on a regular basis landed at Carter/Lancaster Field, which was on the northwest corner of present day 10th Street West and Avenue I. 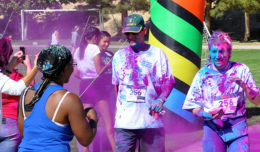 The property for the field was a gift from one of the Antelope Valley’s pioneer families, the Carters. 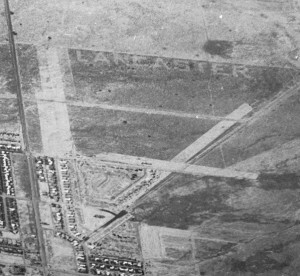 At first it was called Carter Field, but by the 1930s it was known as Lancaster Field. 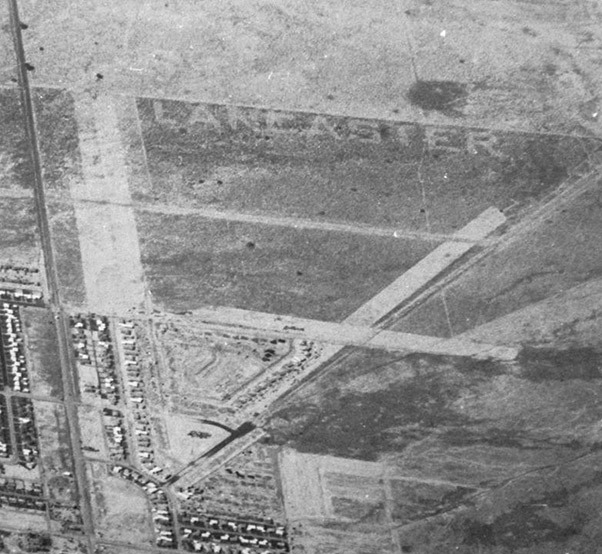 Originally built on the outskirts of town, the builders would never imagine that before long the sprawl of a growing Lancaster would overrun the field with shopping centers and housing tracts. Long time Valley resident and Pancho Barnes-trained WASP pilot Irma “Babe” Story shared many stories of her youth in the Antelope Valley. One of those yarns was about Lancaster Field in the 1930s. Sitting down with her as she told stories, she said that her love for aviation had her spending many hours at the field and there arose an employment opportunity for the young teenage Miss Story. Before long, “Babe” found herself spending her time at the west end of the field with a rifle, thinning out the flocks of crows that were a hazard to the pilots as they took off and landed! On weekends, she said folks would come up from Los Angeles and pick up the new kills and take them back home and cook them up to eat! After all, it was the Depression and crow meat was at least edible! Years went by and a handful of airplanes would call Lancaster Field home and an occasional air show/fly-in would be held, with the citizens coming out to see those magnificent men in their flying machines risk life and limb as they impressed the crowds with their aerobatic skills in their early bi-planes. Like all good things, time and development finally caught up with Lancaster Field. 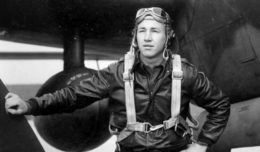 Old-timers tell us that air operations came to a close sometime between 1949 and 1952. But the story and the field did not really disappear, for when the developers laid out the new housing tract, those nice smooth runways were custom-made for streets! So those interesting street layouts north of Avenue I are really the original runways from Lancaster Airport! 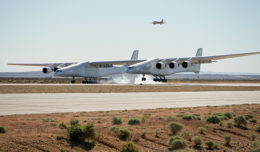 As a matter of fact my bosses Paul and Lisa here at Aerotech lived on Indian Sage Road for a time, which was the southeast to northwest runway! How fitting that they published Aerotech for a number of years from their home office on Indian Sage! 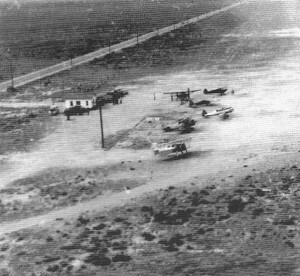 Old-timers also shared that on Boyden Avenue many years ago, for a period of about three weeks late at night the sound of an old bi-plane was heard buzzing the neighborhood, but no plane or pilot was ever found or ‘fessed up! Ghost planes Lancaster style! History comes and goes — isn’t it amazing what we can find under our shoes as we walk around our cities and towns, with just a little research and a clue here and there? So next time you find yourself at Denny’s on Avenue I in Lancaster or in a long line at the Lancaster DMV, look north across the street and imagine the scene you see here in these pictures looking back at you! Oh, and don’t forget to impress the locals and your waitress with your story about the Airport that is now a shopping center and a housing tract! Till next time, Bob out!